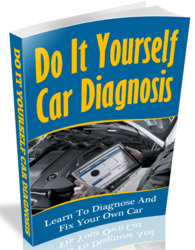 c. Read the DTC by following the prompts on the tester screen. Fig. 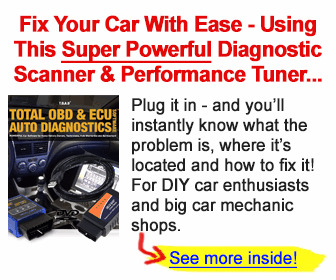 20: Connecting Intelligent Tester To DLC3 Courtesy of TOYOTA MOTOR SALES, U.S.A., INC.
a. Using SST, connect terminals TC and CG of the DLC3. Fig. 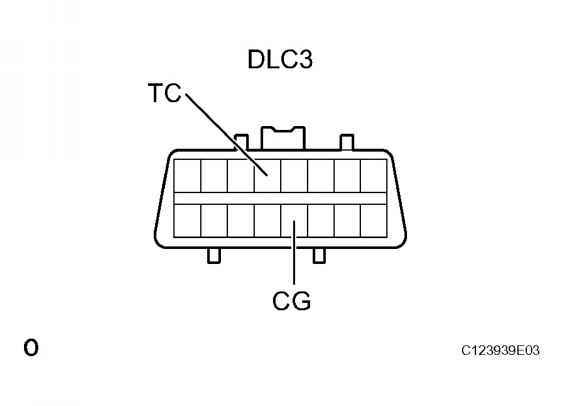 21: Identifying DLC3 Terminal Connector Courtesy of TOYOTA MOTOR SALES, U.S.A., INC.
c. Clear the DTC stored in the ECU by depressing the brake pedal 8 times or more within 5 seconds. d. Check that the warning light indicates the normal code. 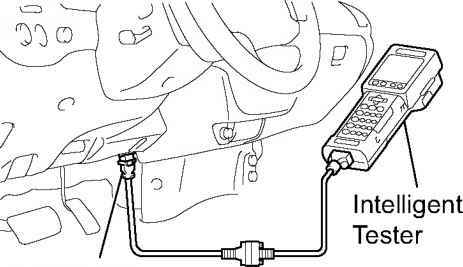 e. Remove the SST from the terminals of the DLC3. How to check the car using DLC3?